A creepy new spy­ing tech­nol­o­gy called Radio Fre­quen­cy Iden­ti­fi­ca­tion – known by its abbre­vi­a­tion RFID — is start­ing to show up on prod­ucts you buy at stores like Wal­mart, and it could be used to track your every move. RFID is a track­ing tech­nol­o­gy. It uses tiny microchips hooked up to minia­ture anten­nas to track items from a dis­tance. This chip and anten­na com­bi­na­tion is called an RFID tag. 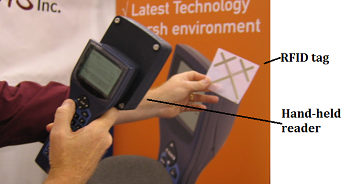 You can see a typ­i­cal RFID tag here on the right. Each tag con­tains an ID num­ber that unique­ly iden­ti­fies the item to which it is attached. It’s like a Social Secu­ri­ty num­ber for things. 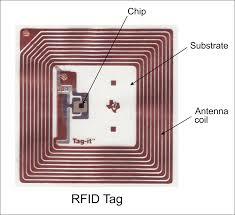 RFID tags are tracked by RFID read­ing devices. These RFID read­ers gath­er infor­ma­tion from the RFID tags via radio waves, sim­i­lar to the radio waves that allow you to lis­ten to your favorite FM radio sta­tion. RFID radio waves, like FM radio waves, trav­el invis­i­bly through sol­id objects like purs­es, back­packs, wal­lets and shop­ping bags. How do RFID sys­tems keep track of items? RFID tags are easy to hide. They can be sand­wiched in price labels, hid­den with­in the soles of shoes, print­ed on box­es, and even woven right into fab­ric and cloth­ing labels. 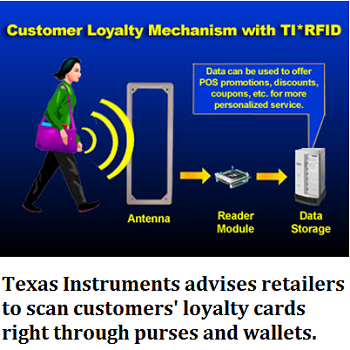 Right now you might have an RFID tag in a store loy­al­ty card or in a cred­it card and not know it! Most RFID tags get their pow­er from the read­er device, so they don’t need bat­ter­ies. With no parts to wear out, they can beam track­ing infor­ma­tion to RFID read­ers indef­i­nite­ly. And RFID read­ers them­selves can be hid­den. We’ve seen plans to embed them in floors, door­ways, ceil­ing tiles and store shelves. Retail logis­tics depart­ments jus­ti­fy invest­ing in RFID because it lets them locate store inven­to­ry at all times and ensure the shelves stay stocked. Mar­ket­ing depart­ments, on the oth­er hand, love the thought of using RFID to gath­er inti­mate data on cus­tomers by track­ing their move­ments and secret­ly scan­ning the con­tents of their pock­ets, purs­es or back­packs. We got the low­down on RFID by attend­ing indus­try con­fer­ences and uncov­er­ing a cache of top secret doc­u­ments that detailed how glob­al cor­po­ra­tions and gov­ern­ment agen­cies hope to use RFID-tagged items to track con­sumers not only in retail stores, but in pub­lic spaces and even pri­vate homes. If this all sounds pre­pos­ter­ous, we assure you it’s not. 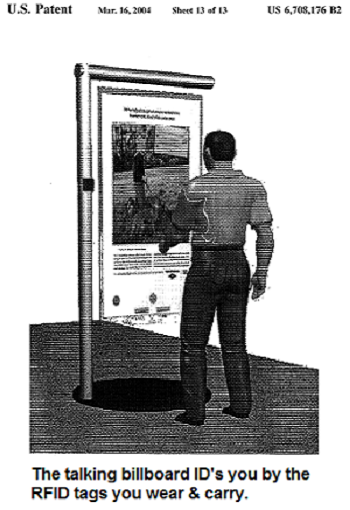 IBM has patent­ed some­thing it calls a “per­son track­ing unit” that can track peo­ple wear­ing and car­ry­ing RFID tagged items in pub­lic places like muse­ums, shop­ping malls, the­aters and libraries — even ele­va­tors and pub­lic restrooms. Unfor­tu­nate­ly, IBM isn’t alone. AT&T, Proc­ter & Gam­ble, NCR and oth­er big com­pa­nies have all devel­oped equal­ly hor­ri­fy­ing ways to abuse the tech­nol­o­gy. And abus­es have already occurred. Check out these links to see how Gillette and Proc­ter & Gam­ble hid RFID tags in innocu­ous-look­ing prod­ucts, then trig­gered hid­den cam­eras to watch peo­ple. RFID offers com­pa­nies tremen­dous pow­er to learn about their cus­tomers’ behav­ior, deliv­er tar­get­ed adver­tis­ing and even decide which cus­tomers deserve top shelf ser­vice and which ones to treat bad­ly to dis­cour­age them from shop­ping in their stores. The pow­er all flows one way, though. In their vora­cious world­view, mar­keters are the watch­ers and the manip­u­la­tors, we cus­tomers are the watched and manip­u­lat­ed. RFID is clear­ly not in my best inter­est. How do I pro­tect myself? 1. Edu­cate your­self about RFID. 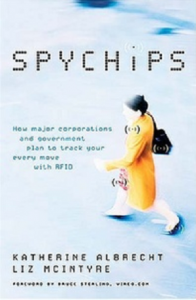 Our best­selling book Spy­chips: How major Cor­po­ra­tions and Gov­ern­ment Plan to Track Your Every Move with RFID details where RFID is being planned. The book is in many libraries and can be found new and used in book­stores and online. You can read the hilar­i­ous intro­duc­tion by famed sci-fi writer Bruce Ster­ling, and you can read the first chap­ter free. 3. Ask stores if they are using RFID and, if so, where and how. If they’re using it on con­sumer prod­ucts, we rec­om­mend avoid­ing the store, or at the very least demand­ing that RFID tags on the things you buy are removed or per­ma­nent­ly dis­abled at the check­stand. 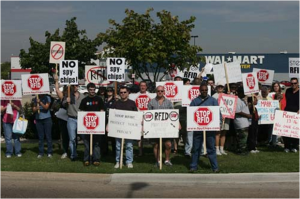 Note: In our opin­ion, remov­ing and dis­abling RFID is the moral respon­si­bil­i­ty of the store. It’s not a bur­den they should pass on to you, the cus­tomer. 4. 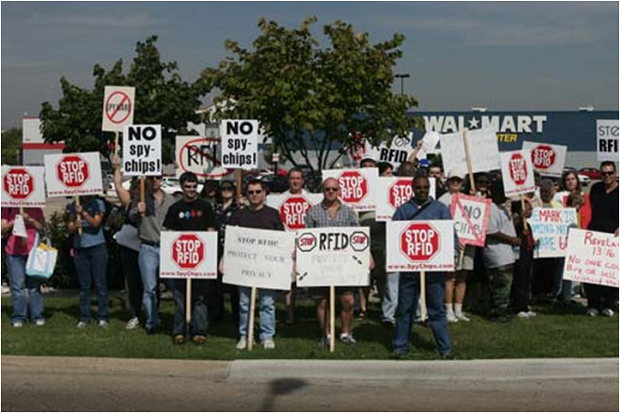 Final­ly, help us spread the word about the down­sides of RFID. Share links to this arti­cle with friends, cowork­ers, and loved ones. If we work togeth­er and let stores know we won’t tol­er­ate being tracked, they’ll have to hon­or our col­lec­tive pow­er or die a slow, cost­ly death. 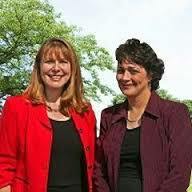 We con­sumers have more con­trol than we real­ize, since stores depend on our shop­ping dol­lars. Give your finan­cial sup­port to retail­ers that put cus­tomers first!